If you enjoy a cup of tea, you may be familiar with a type called Darjeeling that comes from India. 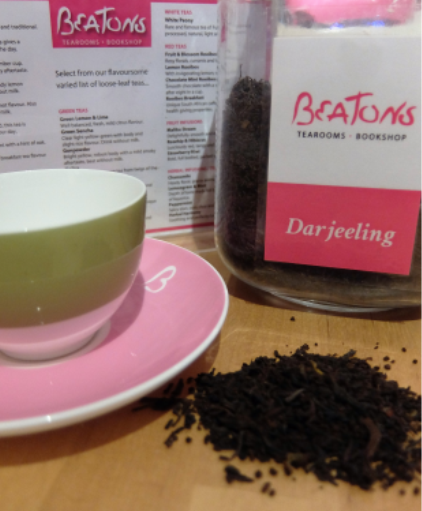 Sometimes called the champagne of teas, Darjeeling is a black tea grown in the foothills of the Himalayan Mountains and has a light, delicate flavour and aroma when brewed. Like all black teas, Darjeeling tea leaves are rolled and then oxidized, or fermented, before being ready to use. The leaves are rich in many different bioactive compounds, including several that may have significant health benefits. Some suggested perks to drinking this tea are the Antioxidant Components that are said to neutralize unstable and potentially harmful chemicals in our bodies, this tea is also said to help the Cardiovascular system, and may even increase the density in our Bones! At any rate, we certainly think this is the perfect cuppa to accompany an Afternoon High Tea!